Good Morning! Welcome to the Fall 2016 Edition of Freaky Friday! I am so excited to be participating! This group is the brainchild of my friend, Michaela’s and it is SO MUCH FUN! For those of you that aren’t familiar with Freaky Friday, it is a group of food bloggers that get assigned a secret blog and we get to choose any recipe we want to make from it for our own blogs. Then all of the recipes are revealed at the exact same time and we get to see who had our page and which recipe they selected! It has been a great way for me and my readers to find new blogs to follow, and I feel honored to be a part of it! I knew right away that I was going to have trouble narrowing down which recipe to make. The Country Captain Chicken, Poblano Pork Stew over Tomatillo Rice, and the Thick Fudgy S’mores immediately caught my eye. However, as soon as I saw her White Cheddar Meatballs, my mind was made up! You see, college football started last weekend and as you know, in the South (and probably everywhere else in the country, we take our football snacks and appetizers VERY seriously. My family absolutely LOVES white cheddar cheese so I took my buddy Michaela’s idea and made these insanely delicious meatballs into the CUTEST little tailgating appetizers! With the leftover meatballs, the next day, I threw them in the crock pot with a jar of marinara until they were warmed and we made meatball subs. 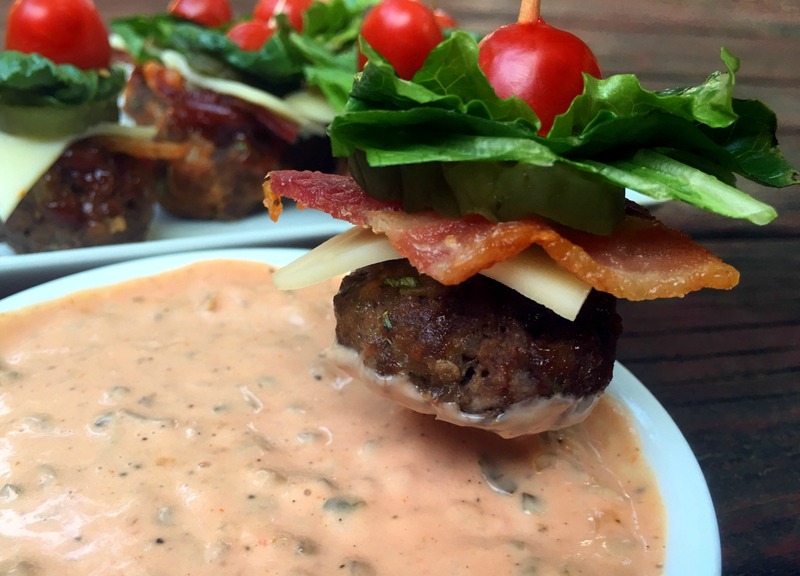 Needless to say, my family ate good last weekend 😉 Give these White Cheddar Meatballs a try! Heat skillet over medium-high heat. Add breadcrumbs;and cook until toasted, stirring nonstop to keep from burning. Remove to large mixing bowl. Wipe out skillet and add oil. Heat over medium-high heat. Add onions and saute until browned and softened. Add garlic and saute for another minute. Combine all ingredients, reserving 1/4 cup barbecue sauce to brush on tops. Shape into meatballs. We like our meatballs bite sized, so I made around 30 out of this amount of mixture. 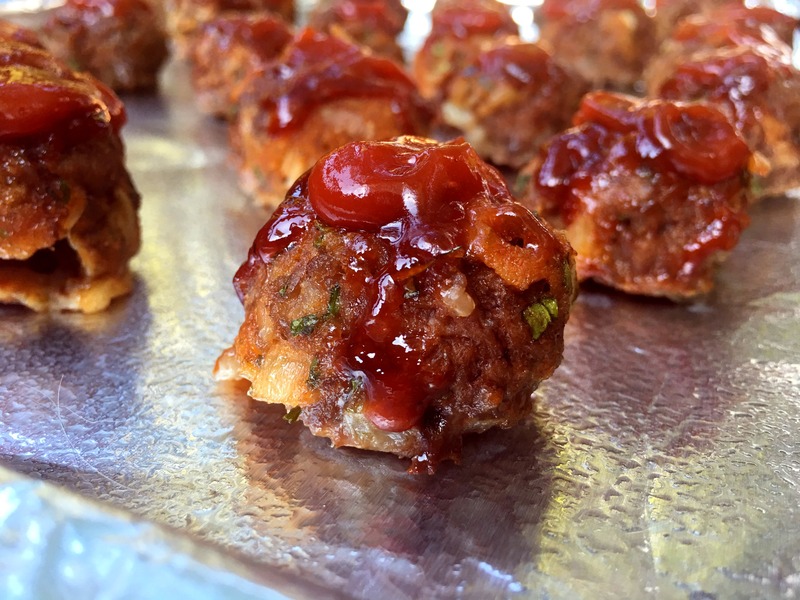 Place on foil-lined baking sheet coated with cooking spray; spread remaining barbecue sauce over each meatball. Bake at 375° F for 25 minutes or until done. Enjoy! Good gracious these look AMAZING! Brandi — I love these!! You know how we think alike when it comes to FOOTBALL eats! 😉 I am totally making these for tailgate! Great choice for our FreakyFriday! Anything meatball is delicious in my book! These look so good. What a great idea Brandi! You definitely hit it out of the park. I’m definitely going to be using this idea. Thank you so much for a great post! How fun! I love the little dippers. These are perfect for a tailgate or watch party! It so happens that I’ve never met a meatball that I didn’t like. 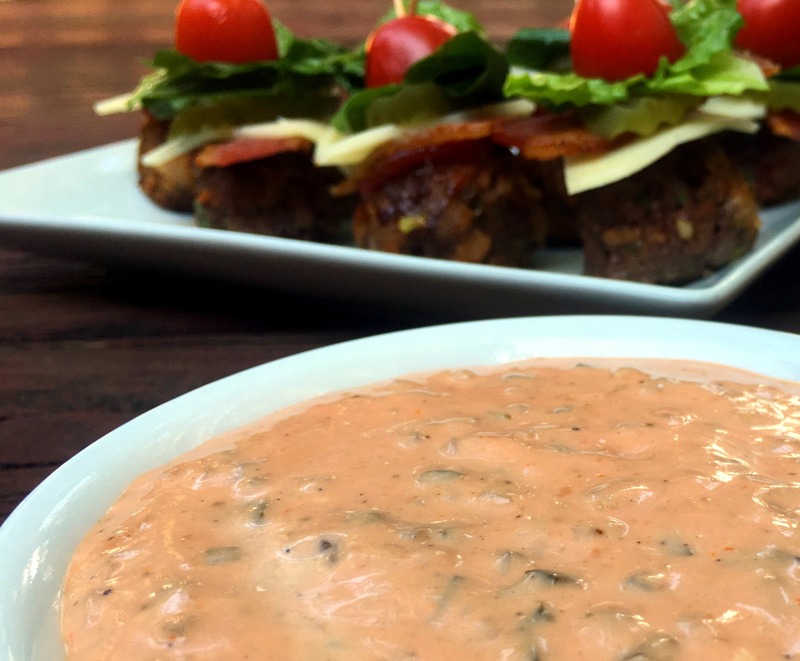 With the combination of ingredients and presentation that you used (putting them together with tomato, bacon, lettuce, cheese & pickle) these are over the top! Can’t wait to serve on game day. Oh my!! Drooling over here!!! These are some killer looking meatballs!! LOVE these “burger” bites!!! WOWOWOWOW!!!! I’m a serious sucker for any meatballs. These look like perfect nibbles for our next game day! I am so in love with these cute little meatballs!! They sound outrageously good! But like, dangerously would probably eat the whole lot good! These little meatball bites are so cute! I love all the layers of flavor as well as that sauce! Looks like a perfect appetizer or heck! I can eat this as a complete meal!